This year is the 50th anniversary of The Beatles’ 1967 release ‘Sgt. Peppers Lonely Hearts Club Band’, one of the most influential albums of all time. To celebrate, the record is being remastered and reissued- in four different formats. Fans can opt to purchase the standard CD version, which features the new ‘Sgt. Pepper’ stereo mix; a two-CD deluxe edition which also contains outtakes and unreleased tracks; a 2-LP deluxe vinyl edition; and for those fans who have cash to burn, they can splash out and buy the Super Deluxe version. 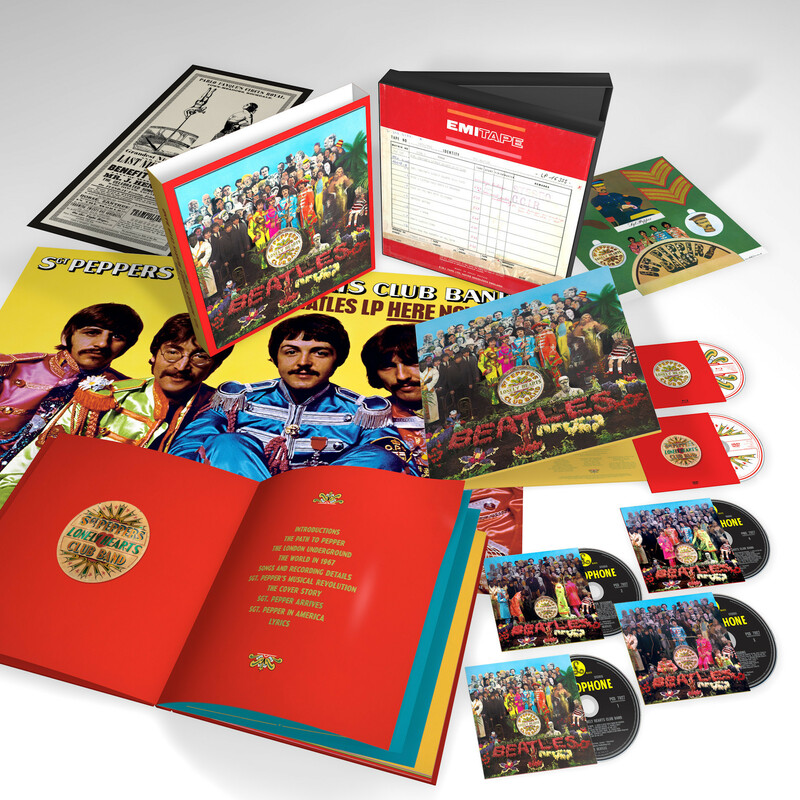 This comprehensive 6-disc box set will set you back $120USD but it’ll basically give you all the Beatles goodness you could ever possibly need. Like, you’ll be able to listen to four different takes of ‘Strawberry Fields Forever’, five takes of ‘A Day in the Life’, and three takes of ‘Penny Lane’. What more could you possibly need in life? The project is being produced by Giles Martin, son of the band’s longtime producer George Martin. In addition to his work on this reissue he has worked on other Beatles material; he remastered the 2016 release of ‘Live at the Hollywood Bowl’, and assisted with the Beatles-themed Cirque du Soleil production of ‘Love’, the 2011 George Harrison documentary ‘Living in the Material World’ and Paul McCartney’s recent album ‘New’. Clearly he knows what he’s doing and fans won’t be disappointed. Previous postSuper Cheap Auto // Big Break VOTING!